BISHKEK -- Dozens of schools in Kyrgyzstan have begun requiring a new "History of Religious Culture" course as part of their curriculum. Fifty-six schools are now offering the subject, which is aimed at preventing religious extremism among Kyrgyz youth, according to officials. The class "does not promote religious values, but rather takes a neutral, academic approach to world religions, the current religious situation, the state policy on religion and radicalism," Zakir Chotayev, first deputy chief of the State Commission for Religious Affairs, told Caravanserai. The pilot project for the course began last year when the subject was introduced at 10 schools across Kyrgyzstan. Experts, education ministry representatives, teachers and members of civil society have since reviewed the results of the project and offered improvements, Chotayev said. The subject will now be taught 34 hours during the entire school year -- an increase from 16 hours in 2016. It will be introduced as a 9th-grade subject, according to Chotayev. Instructors began being trained to teach the course in Bishkek and southern Kyrgyzstan in late August. "You need to be very careful when teaching the course and carefully present the information," said Kayryl bubu Kuykeyeva, a teacher at School No. 24 in Bishkek. "Why? Because there are various situations in which students might incorrectly understand an interpretation, so you need to take students' opinions into account," Kuykeyeva told Caravanserai. "In order to interest students, I opted to teach via games," Kuykeyeva said. "I explained to students that this subject is being introduced to prevent religious extremism, provide them with deeper knowledge of the culture and traditions of all peoples and to ensure that students can find their bearings in their lives and religious situation in the future," he said, adding that students' parents have also expressed interest. "I invited them to my lessons and they attended," she said. "I explained to them that we are not focusing on any one religion, but rather speaking about the foundations of several religions, what religions teach and that we are aiming to prevent students from becoming radicalised." Other religious education programs are underway, according to Chotayev. The Kyrgyz government is seeking to establish a traditional religious school with a more liberal approach to religion -- one that is within the values of the secular state and prohibits religious discrimination, Chotayev said. A pilot program to offer theology in colleges is also in the works. Kyrgyz officials also plan to adopt a History of Religious Culture textbook in all schools starting in 2018. The textbook will provide information about the state policy on religion and the characteristics of extremist movements, he said. 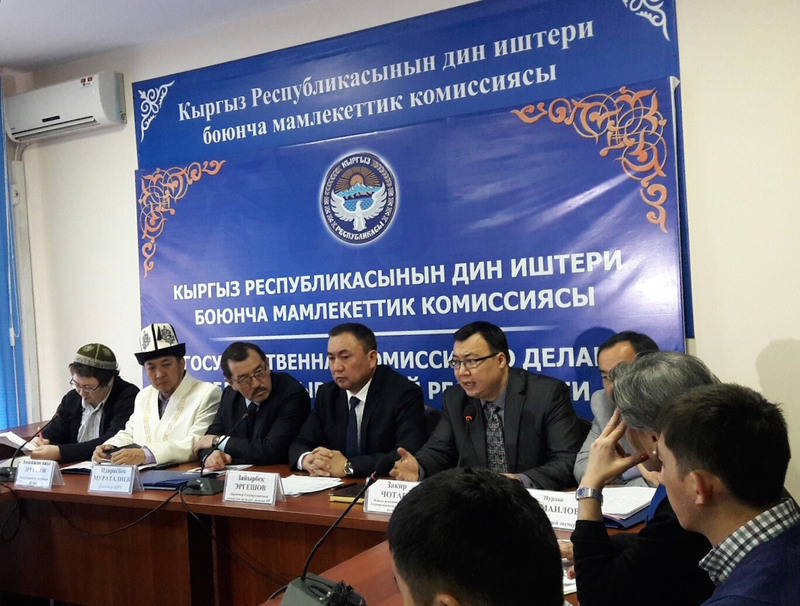 "Aside from Islam, there are other religious movements and organisations [in Kyrgyzstan], and we will present balanced information," said Chotayev. "This subject aims to present basic information to our young citizens so that they are prepared for the possible influence of religious movements and destructive ideologies." This work is already bearing fruit, but "many terrorists are struggling to return to their homeland and work to spread radical ideology," he said. "Action from state agencies alone are not enough to counter religious extremism," said Chotayev. "Experts and civil society need to join in so that we can be effective." The government is conducting outreach on a number of fronts, including providing religious education to imams and the general public.